Distinguished composer and organist. Born in Nottinghamshire he became a chorister of the Chapel Royal, was appointed organist of Westminster Abbey in 1669, aged 20, and was made gentleman of the Chapel Royal in 1673. By the year 1678 he was a Doctor of Music and was named one of the private musicians of James II in 1685. In 1687 he became Master of the Choir of St Paul’s Cathedral and in 1695 was elected organist of St Margaret’s, Westminster. He is said to have abandoned his post as organist at Westminster Abbey to make way for Henry Purcell, his most famous pupil. He returned to the Abbey after Purcell’s premature death at the age of 36 and remained there until his own death in 1708. Garrick was born in Hereford but raised in genteel poverty in Lichfield, Staffs. In 1737 he and his close friend and former schoolmaster, Samuel Johnson set off to lead a new life in London. First a law student and then a wine merchant Garrick risked the wrath of his family by entering the acting profession in 1741. He was an almost immediate success. By the time he and his wife came to Hampton in 1754, looking for a country house, he was the country’s most famous actor and had become very wealthy. He introduced a more natural style of acting to the English stage, helped re-establish the reputation of Shakespeare, and was for thirty years the highly successful manager of the Drury Lane Theatre. 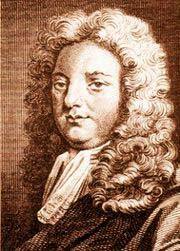 Handel’s tenor and the patent holder of Covent Garden Theatre. Ranger of Bushy Park, where he spent half of his life, living first with his mistress, the actress Dorothy Jordan and their ten children, and then with his wife Princess Adelaide of Saxe - Meiningen. The Princess proved a good mother to Dorothy’s children. He became King William IVth in 1830. Brown was England's most famous landscape gardener or ‘placeman’, as he preferred to call himself. He was born in Northumberland and in 1764 he became master gardener and resident at Hampton Court Palace. 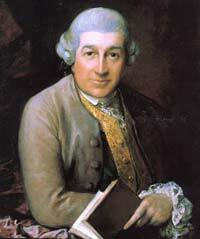 A close friend of David Garrick he may have had an influence on the rebuilding of Garrick’s Villa and the design of the Temple, but it is certain that he designed the Temple gardens in the so called ‘modern taste’ with a lawn, serpentine walks and shrubberies. He also persuaded Garrick to connect the riverside gardens with the main house by building a grotto in a tunnel beneath the main road rather than by a bridge. The tunnel and grotto still exist (now in private hands) and the gardens have been redesigned to Brown’s original plans. 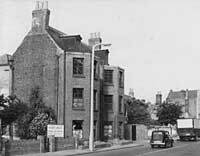 Riverdale, Thames St (now demolished). Banker. The last man in England to be hanged for forgery: he was found guilty of intent to defraud the Bank of England. ‘On 30th November his execution took place at Newgate. The number of persons assembled on the fateful day was estimated at nearly 100,000. Every window and roof which could command a view of the dreadful ceremony was occupied’. Doctor to Queen Victoria’s mother, the Duchess of Kent; he attended her at the Princess’s birth in 1819. Thomas Rosoman was the manager of the Sadlers Wells Theatre from 1746 to 1771. He established the Wells' pedigree for opera production and oversaw the construction of a new theatre - at a cost of £4,225 - which opened in April 1765. Born in the USA, May French Sheldon, aged 41 and with no scientific background set out on a remarkable journey of discovery in Africa in 1891. A woman of some courage she was also a flamboyant dresser and her baggage included, as well a good thick skirt, a sparkling ball gown and appropriate jewellery so that she would be properly dressed when visiting local chiefs. She would send an advance party to announce that she was ‘ a great white queen of limitless powers, come to make friends.’ On her return she was to be visited in Hampton by fellow explorer and ‘discoverer’ of Dr Livingstone, HM Stanley. She became the first woman member of the Royal Geographical Society. Plumber turned Acrobat and Music Hall artist. Karno was born Frederick Westcott in Devon. 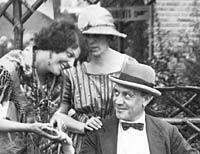 After humble beginnings he became a highly successful theatrical producer and impresario. He "discovered" Charlie Chaplin and Stan Laurel and helped launch their theatrical careers. He built a luxury hotel, the Karsino, on Tagg’s Island and his own houseboat, the Astoria, for the then incredible sum of £12000. The Astoria is now moored near Garrick’s Lawn. He was declared bankrupt in 1926 with the Karsino a failure. Confidence trickster and self-confessed German Spy in the First World War. Hungarian born, he ended life as a Buddhist Abbott, in China having been an Anglican Curate in Kent, a Presbyterian minister to Jews in Canada and a member of Parliament for Darlington, Co Durham in 1910. George Howard, artist and aristocrat, was a notable patron of the Pre-Raphaelite circle. He was Liberal Member of Parliament for East Cumberland before succeeding to the title of Earl of Carlisle in 1899. But his only wish was to become an artist in which he succeeded, exhibiting in several galleries and exhibitions. He was the last owner of Hampton’s vast Manor House estate, broken up for development at the beginning of the twentieth century. The house itself was on the site of the present day Manor Gardens. He is remembered in Hampton by Carlisle Park, Carlisle Rd and Carlisle School. Artist and illustrator: best known for his work for the RadioTimes and as a commercial artist to the London Transport, Shell, Post Office and British Gas advertising campaigns. Born in Soho, one of eleven children of a costermonger, Jessie enjoyed dancing from a very early age and took elocution lessons to overcome her cockney accent and to create her distinctive ‘plummy, cut glass’ voice that was to be associated with her for the rest of her life. She made her film debut in 1923 and, alongside Gracie Fields and George Formby, became one of Britain’s top film stars in the 1930s. A leading figure in wartime code breaking at Bletchley Park and one of the founders of modern computer science. He was the mind behind the first programmable computer and without him the outcome of the war might have been very different. 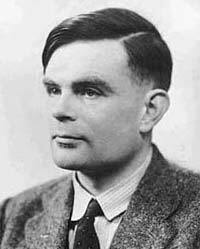 In 1945 Alan Turing was persuaded to join the National Physical Laboratory staff at Teddington. During the two plus years that he worked there, he boarded at a guesthouse, as it was then, Ivy House in the High St, Hampton. As a marathon runner, he not only used to run to and from NPL through Bushy Park, but on occasions used to run the 18 miles home to his mother in Guildford for Sunday lunch. He was born in London and later taught at a number of schools in Yorkshire. He came to Hampton in 1874 and rented the property then known as “South View” (now “Garrick Cottage” and “Feathers Cottage”; nos 2 and 4 Thames Street, Hampton). He was headmaster of the English School for 28 years and organist at St Mary’s Church, Hampton for 21 years and choirmaster. He was also the composer of a large number of published songs including the then well-known “Empire” series of school songs. He organised a series of “high-class” concerts each year and became an Associate of the Trinity College of Music, London. He wrote the first history of Hampton: “The History and Topography of Hampton-on-Thames” published in 1883/4, as well as various editions of “Hamptoniana”. The book ran to several editions and the latter publication was originally intended as a quarterly journal but actually appeared very infrequently and only ran to a few numbers, spread over several years. He died in 1902 and is remembered by Ripley Rd. Bernard Garside was born in Skipton-in-Craven, Yorkshire on 22 Oct 1898. He attended Ermysted’s, a well-known grammar school in Skipton and throughout his life remained devoted to his West Riding roots. He graduated in History from Leeds University, after his studies had been interrupted by war service. He came to Hampton Grammar School (now Hampton School) as Senior History Master in 1924 at the age of 26. Shortly after his arrival, Garside began his researches into Hampton-on-Thames in the Tudor and Stuart period. After six years work, he submitted a rigorous 800 page typed thesis for his M A and this research provided the basis for the twelve books he subsequently published over nearly 30 years. He was one of the pioneers of “academic local history” and in 1937 was elected a Fellow of the Royal Historical Society. In 1948 he became a part-time lecturer on local history with the Hampton branch of the Workers Educational Association. He completed the last of his series of 10 booklets on Hampton in the 16th & 17th centuries in 1958. 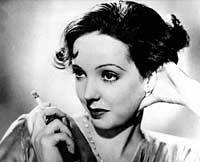 Starting in 1937, the series had been interrupted by the Second World War between 1939 and 1945. He had also written a major work on the history of Hampton School in 1931 and another for the 400th anniversary celebrations for the School in 1957. He suffered heart illness in 1957, and this probably led to his early retirement in 1959. In 1962 he founded the Hampton research branch of the then newly-formed Borough of Twickenham Local History Society, undertaking a detailed survey of Hampton and its inhabitants in the 1890’s. 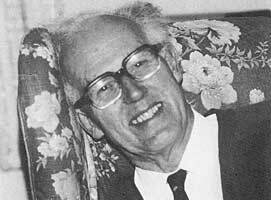 He died suddenly at one of the Hampton research meetings in 1963 at the age of 64. The following year a new road, off Broad Lane, Hampton was named Garside Close in his memory by the London Borough of Richmond upon Thames. Garside’s Wars: memoirs of Bernard Garside, FRHistS (1898-1963), editor KA Rice; publisher Hampton School, 1993. ISBN 0 9522113 0 0. Gerald Heath, son of a farmer, was born at Thatcham, Berkshire. His father died in the flu pandemic at the end of the First World War. He attended Reading School and read Chemistry at Reading University. At the outbreak of war in 1939 he was directed to work in scientific research at the Ministry of Supply, subsequently the Ministry of Defence, serving in the British Embassy, Washington DC from 1954 – 1957. His languages were French, German, Spanish and Russian. His remaining career was in Whitehall; he represented his service in NATO and was involved in producing the Convention on the non-use of chemical warfare. Having settled in Hampton in 1958 he became a member of the Hampton Local History Research Group, led by Bernard Garside. 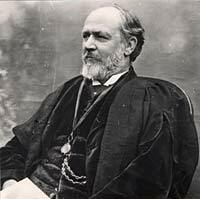 After Garside’s death he became Hampton’s leading historian, publishing several papers on Hampton’s history. For twelve years he was Chairman of the Hampton Resident’s Association (now the Hampton Society) and on retirement from the Ministry of Defence became a guide at Hampton Court Palace. Here he spent fifteen years researching into the history of the Palace where for most of that time there was no curatorial department. Born in Stone, Staffordshire, Joan went to St Michael’s School where her grandfather had been Headmaster. She won a scholarship to Orme Girl’s School, Newcastle under Lyme. She took a French degree at Reading University, which included a year’s study at Strasbourg University. She taught throughout the war and then returned to teach at Strasbourg University when the war was over before her marriage to Gerald Heath. She and her husband lived in Salisbury for eight years and then in Washington DC for three years before coming to Hampton. Whilst bringing up two children she became Vice-President of the British Federation of University Women, started the Hampton Association, was a French Oral examiner and a teacher in Adult Education. In 1978 she became a Borough Councillor for the newly formed Hampton Nursery Ward. 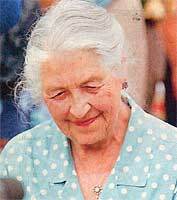 She was Chairman of Governors of Crosby Hall and a guide lecturer at Hampton Court. She is a member of the Hampton Society, Hampton Riverside Trust, a Garrick’s Temple volunteer and a trustee of the Twickenham museum. Since Gerald’s death Joan has been the guardian of her husband’s research. John Sheaf was born in Surrey, the first son of a father who was a lecturer in Chemistry and a mother who was a pharmacist. After attending Wimbledon College he went into banking and then moved to Australia for three years where he travelled widely. Back in the UK he went into international banking in the City and lived in San Francisco for a year whilst working at the Head Office of his employer. After 20 years in the city he became an international banking consultant and travelled to various places in Europe, the Middle East, Russia and Asia in this role. A Hampton resident since 1978, he has taken a keen interest in the area and is an avid collector of photographs, old postcards, books and other material relating to Hampton. He lives in part of the old Feathers Inn, the oldest building in Hampton. He is author or co-author of a number of books on Hampton. He is a past chairman of the Local History Society, and is actively involved on the Publications Committee of the Society. 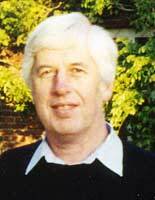 He is a trustee of the Twickenham Museum and is particularly involved in displays and exhibitions for the Museum. He is also a member of the Hampton Society, Hampton Riverside Trust, and a Garrick’s Temple volunteer. He is married with two sons.